Discover a world of pastoral splendor, where the history of the Belle Époque is preserved in awe-inspiring architecture, all set to the grand backdrop of the Alps. Nestled between four countries is a land where crystalline lakes sit amidst mountain peaks, and lush green valley’s yield centuries-old vineyards. 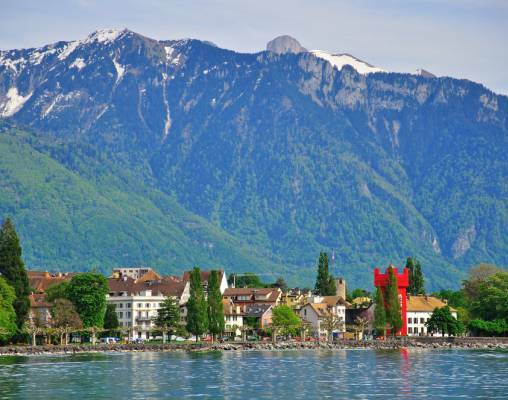 This is the home of the Matterhorn and Lake Geneva, where chocolate is high art and culture is intrinsic. You’ve booked passage to Switzerland – via the absolute best way to explore it – the Swiss Railway. 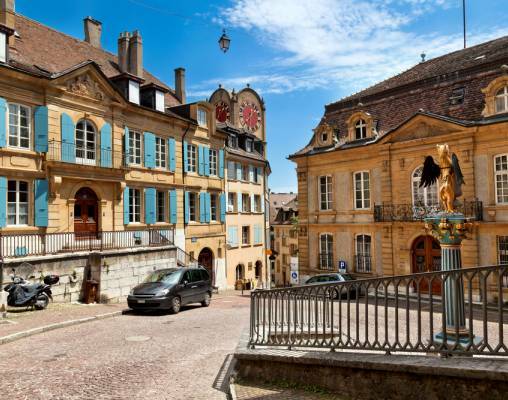 Start among the historic architecture of Neuchatel, wrought in the grand Belle Époque style. 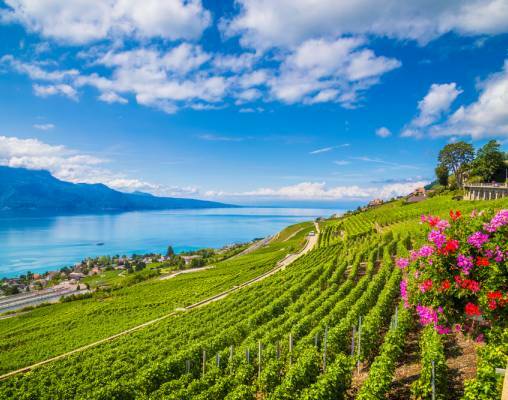 Walk through centuries-old vineyards and taste unparalleled Swiss wine. Soak in views of the Matterhorn from the picturesque mountain town of Zermatt. Sample legendary Laderach chocolate as you watch chocolatiers work their confectionary craft. See the magnificent landscape roll past your window as the train moves through the country’s peaks and valleys. Use your Swiss Travel Pass, which grants you unlimited access to the country’s transportation network, along with complimentary entrance into all of Switzerland’s 500 museums. 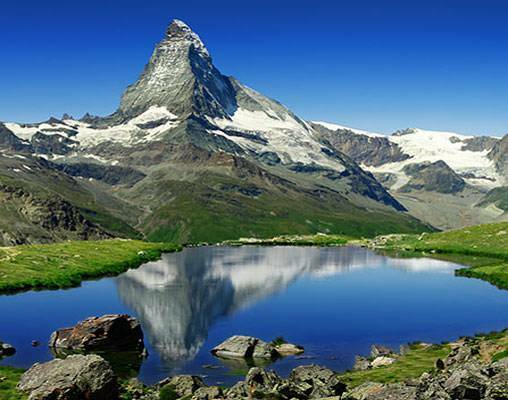 Get ready for a remarkable Swiss journey that you’ll never forget. You’re on your way to a world wedged between Germany, Austria, France and Italy -- the country of four languages that’s one of the most heralded destinations in Europe. 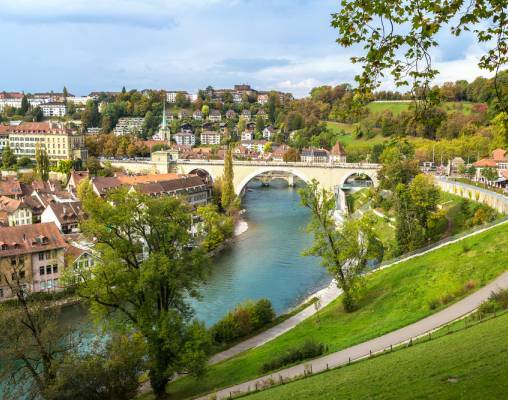 Your journey through Switzerland will be entirely by train, offering an up close and personal rendezvous with the best the country has to offer, from the Alps to the historic villages of the Swiss Riviera. 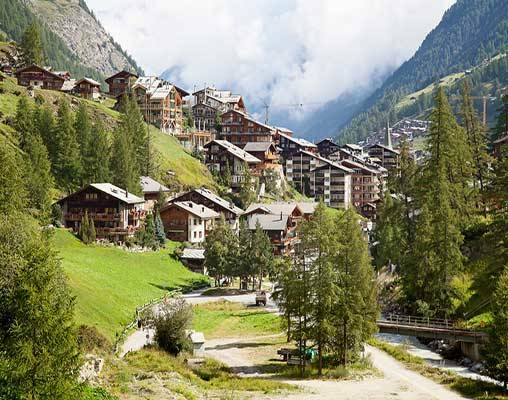 Get ready to experience the culture, history and lifestyle of Switzerland firsthand. Willkkommen! Bienvenue! 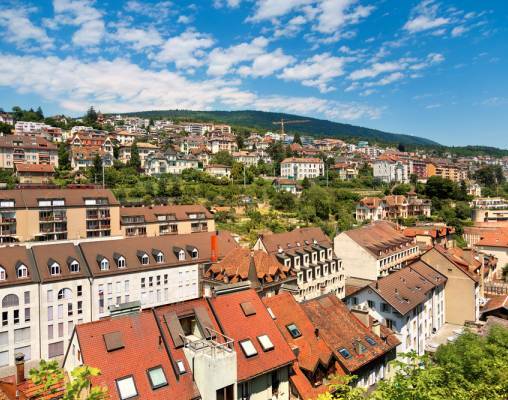 Board a Swiss Rail train to Neuchatel, where Gothic landmarks and sandstone grandeur beckon you to discover the abounding history of this medieval waterfront city. A reception of cocktails and canapes welcomes you to the first stop on your tour: the centuries-old cloister of the Collégiale*, a church and chateau perched atop Neuchatel’s highest point. Retire this evening in your lakefront room with incredible views of Lake Neuchatel. Enter your details below if you would like to be notified when 2021 dates and prices are available for Switzerland: Hidden Trails & Majestic Peaks. Prices are correct at the time of publication, however are subject to change at time of booking. Hotel and Rail accommodations listed above, are subject to change based on availability at the time of booking. Prices are land-only per person based on double occupancy. This tour is very active, requiring participants to be physically fit to fully enjoy all the experiences. This itinerary has more strenuous activities which may include such things as: extensive walking tours, transfers over uneven and dusty terrain, high altitudes, early morning departures, late night activities, or extreme temperatures. All conditions do not apply to all days, so please read the itinerary carefully and speak to one of our travel counselors to determine if this tour is right for you. We recommend this program to individuals who are physically fit. Unfortunately, this tour is not appropriate for individuals who use either walkers or wheelchairs.